The only modification I made here was adding laces to the collars. 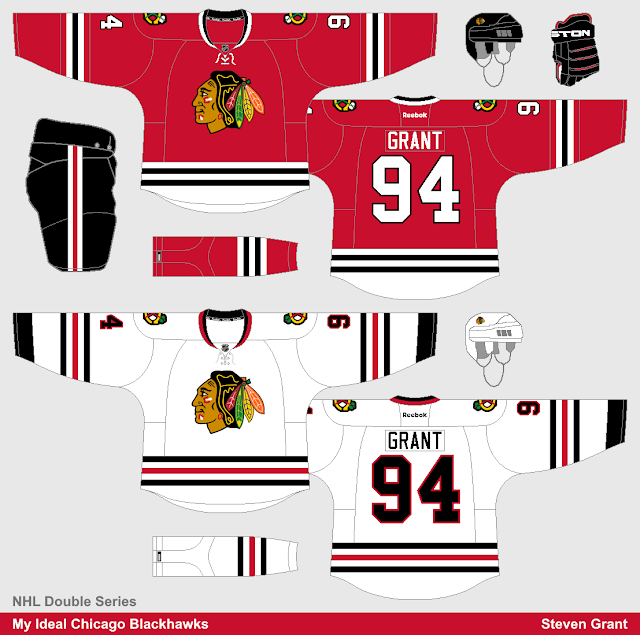 Their current jerseys are probably my favourite set in the NHL, hence the lack of changes. This concept started with just the idea of red pants with a black jersey. I tried to make the road jersey fit with the red pants as well, but then decided two pairs of pants was the best option. 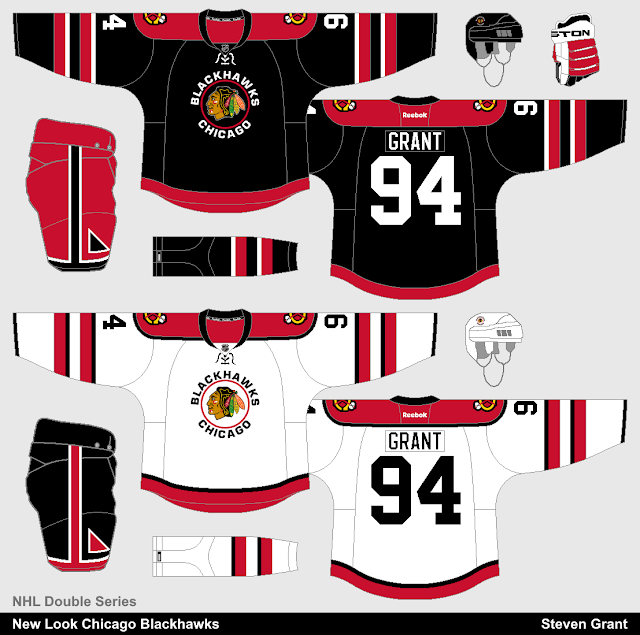 The striping pattern of the jerseys is somewhat inspired by their jerseys from the 1940's. The primary logo uses their old roundel but without the outer ring, just to try something different.